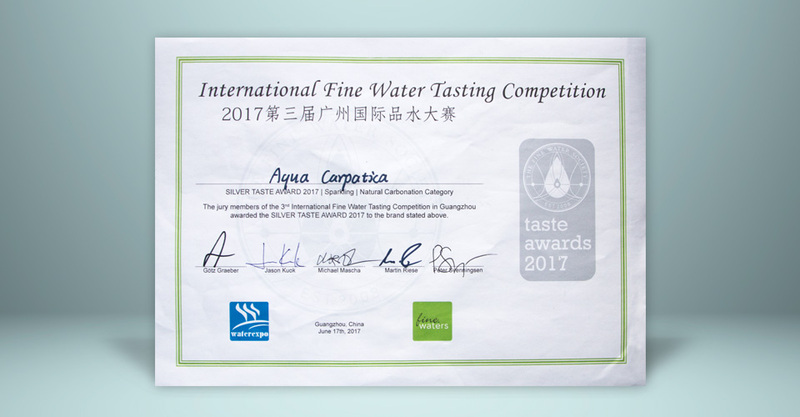 AQUA Carpatica naturally sparkling mineral water was awarded in the Naturally Carbonated Category at the 3rd edition of Fine Waters International Tasting Competition in Guangzhou, China. This edition was conducted by Fine Waters and the Fine Water Society in collaboration with the WaterExpo Guangzhou on June 16th, 2017. The most prestigious waters from all over the world competed in 8 categories with the jury made up of the highest qualified water sommeliers in the world, this year from China, Macau, Austria, Germany, and Denmark. The professional panel consisted of 5 international water sommelier: Götz Graeber- water sommelier in China, Jason Kuok– the only certified water sommelier in Macau, Michael Mascha– from Austria, creator and publisher of FineWaters, Martin Riese- water sommelier in USA with German origins and Peter Svenningsen – chocolatier from Denmark. The categories included in the analysis are: Super Low Minerality, Low Minerality, Medium Minerality and Exotic Sources categories for STILL waters, for SPARKLING waters: Added Carbonation and Natural Carbonation category and 2 design categories: Glass and Pet. 104 entries participated at the 2017 edition in the various categories, in comparison with 70 entries last year. 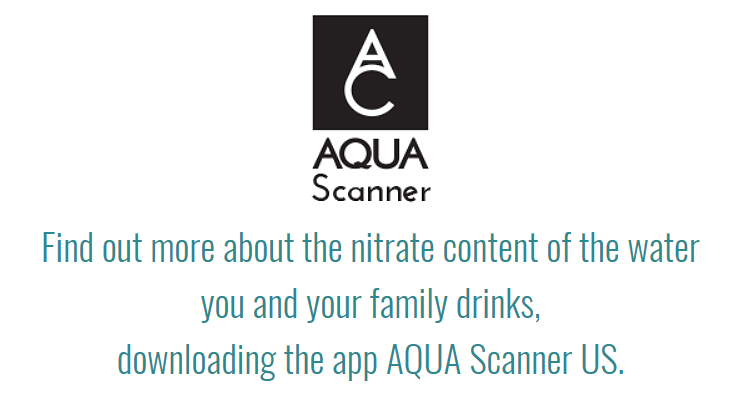 This award brings renowned recognition to AQUA Carpatica given the fact that the waters in the Naturally Carbonated category are rare are were evaluated by distinguished international water sommeliers, meeting for the first time at the testing. Fine Waters International Tasting Competition was held at the Water Expo 2017 right after the 5th Summit in Guangzhou. The Fine Water Summit focused on the current global status of Premiumization, familiarizing consumers with the taste of premium choices. There have been several attempts to conduct water tasting but none have risen to a standard that represents the category of Fine Bottled Water. The Fine Water Society was founded in 2008 to enhance the visibility of Fine Water and communicate the idea that water is more than just water: it has terroir and unique characteristics. Representing the Fine Water Category and the Fine Water Society set the example for conducting water tastings that will be become the future professional standard. AQUA Carpatica comes from springs deep within the Carpathian Mountains—an ancient land where time seems to stand still, leaving only the pristine beauty of nature and history. It’s the last wild forest in Europe, and with no agriculture or industrial activity in the surrounding area, it’s like going back to a time before chemicals, fertilizers, CFCs and other contaminants even existed. With AQUA Carpatica, purity and taste go hand in hand. Millions of years of volcanic activity have filtered impurities at the source and endowed our water with its unrivaled flavor. Natural minerals enrich AQUA Carpatica’s sparkling water—the only nitrate-free, naturally sparkling mineral water on earth. The springs that provide the foundation for AQUA Carpatica have been preserved from the beginning of time, and they’ll be protected for thousands of years more.